Ciara, I've missed you so much! I'm glad you're back!! 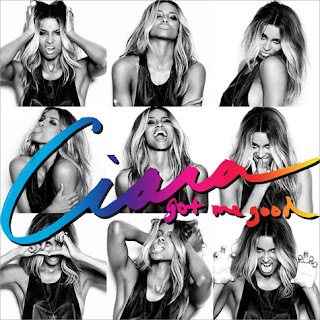 Even though Ci-Ci has relesased her single 'Sorry' I feel like Got Me Good should have been her first official release. Either way, I'm glad she's released it. "My back is aching, my bra's too tight, my booty's shaking from left to right! My back is aching, I'm so in love, baby all I know is you got me good!" Wearing all white and dancing through the desert, this is such a feel good music video that I'm sure not only C-Squad would appreciate. Ciara's debut album One Woman Army is scheduled to be released in the first quarter of 2013, even though the original date was 4th December on Epic Records. Ciara who celebrated her 27th birthday yesterday (HAPPY BIRTHDAY!!!!!) premiered her new video in Times Square, New York City on the Sony JumboTron! Produced by Rodney DarkChild Jenkins and features America's Best Dance Crew - 8 Flavahz (these young girls are killing the choreography) watch the Joseph Kahn directed visuals below!